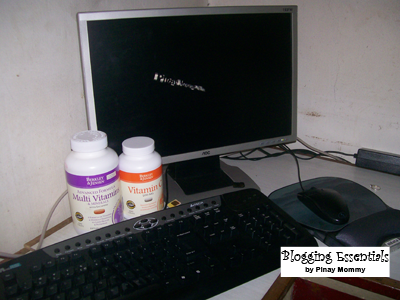 Let me share to you my blogging essentials. Actually, they are recent additions only. My aunt sent it to my dad and mom. Now, I am taking them also(as per advised by my parents) and they are included in my daily blogging routine. Oh well, everybody needs nutrients of some sort especially when you are awake at night and asleep during afternoons.